me rolling the black suitcase, chin down. There are so many ways I bring him shame. Sitting with my legs crossed. Stomping as I walk. but don’t open your mouth. When we get to the Bayon Tower, he tells me You can’t go. Your shorts are too short and you should have covered your legs. helping my aunt gut the market fish. I roll my eyes at him and walk away as he speaks. Bong Sota doesn’t understand. She says, You just like to get angry. Your father is a good father. how he makes me feel in my motherland. He’s right, he’s right. I knew it before, but now I believe him. and toss them back in the soup. back to where it came. Not me. We know the role of Cambodian daughters. Oh daughter, you wouldn’t like it here anyway. Oh, goan srey, goan srey, goan srey. Monica Sok is a Cambodian poet from Lancaster, Pennsylvania. She is the author of the chapbook Year Zero, winner of the 2015 PSA Chapbook Fellowship 30 and Under, selected by Marilyn Chin. 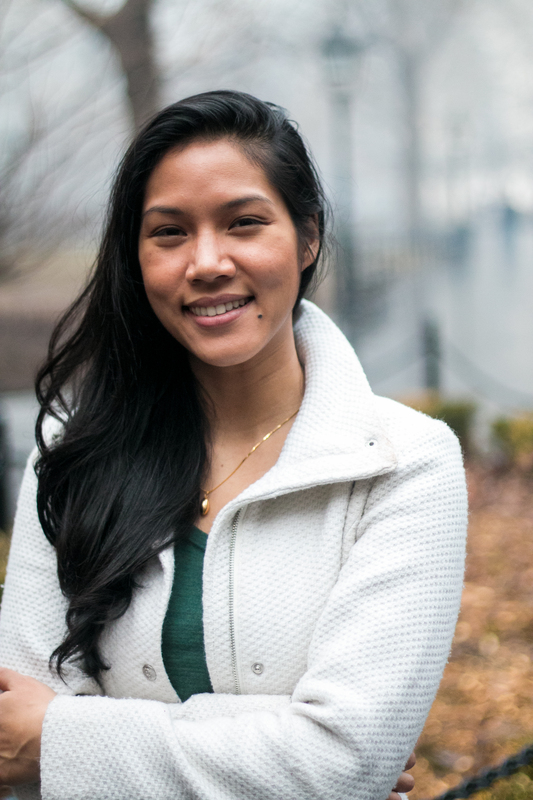 A Kundiman fellow, Sok has received scholarships from Hedgebrook, MacDowell Colony, Napa Valley, Squaw Valley, and Bread Loaf writers’ conferences. Her poems appear or are forthcoming in FIELD Magazine, Narrative, Ninth Letter, and The New Republic, among others. She is the 2016–18 Stadler Fellow at Bucknell University.